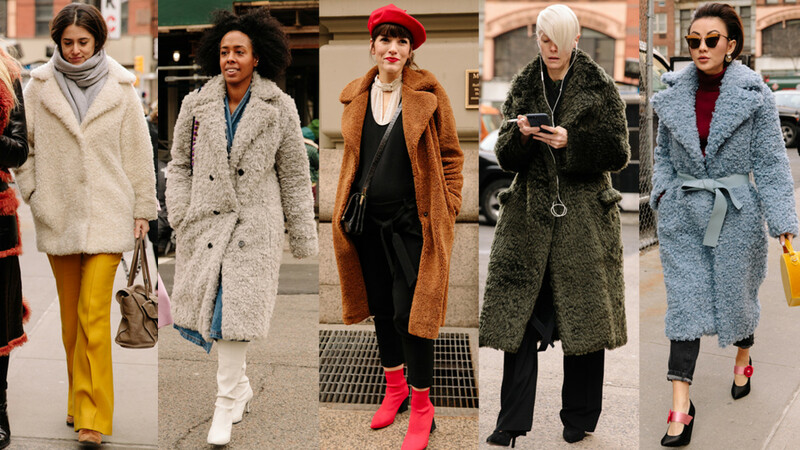 Teddy bear coats are the season's cuddliest and coziest trend. Winter is here, and this year’s statement coat takes a lot of inspiration from my childhood. Faux fur coats and teddy bear coats are here for the season, and they are just as cuddly and adorable as my old stuffed friends. These faux-shearling options are easier on the wallet and certainly more conscientious than real fur, and some are even as fabulous as a Blackgama. Most importantly, these coat are comforting and warm enough for wearing beyond the wall. The oversized silhouette is perfect for tossing over whatever shirt you want. What’s the word for a group of teddy bears? A comfort? A cuddle? Either way – we’ve rounded up a ton of options of this season’s coziest trend. And it’s not just cozy, it’s also versatile. From edgy to elegant, Fozzie Bear brown to the blush, a steal to a splurge, there’s a teddy bear that, once again, snuggles back.